Starting today, people in Washington D.C. can access a fleet of rental cars, bikes and scooters using the Free2Move smartphone app – a mobility services solution from Groupe PSA North America. Car rentals include parking, gas and insurance (for those over 21) with no late fees or “per trip” charges. At an event at The Churchill Hotel, Groupe PSA North America announced that starting today Free2Move users can access a fleet of 600 vehicles available on-demand in the Washington, D.C. area. Groupe PSA starts its Free2Move Carsharing services in Washington, D.C. on October 25th. This "free-floating" service, provides 24/7 access to a fleet of 600 cars parked on public streets across all 8 wards in the District of Columbia. 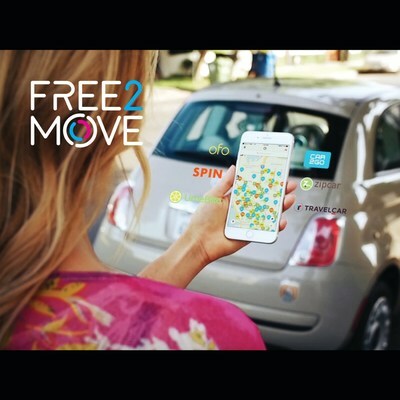 The user-friendly Free2Move Carsharing app allows new members to join in a few clicks. With a valid drivers' license and a $10 membership fee, booking a car and driving from point A to point B for minutes, hours or days is easy. The app provides all of the logistics required to locate, book, open/lock & pay for its vehicles throughout the city. "Free-floating" refers to the user's freedom to drive. Free2Move Carsharing app always calculates the least expensive cost to the user. There are no late fees, "per trip" fees or insurance charges and every trip cost is based on a 500-mile usage. Parking and gas – as well as insurance for above 21 years drivers– is included in the service. Free2Move as an aggregator and standing as a new "urban mobility navigator", will provide Washington DC users Free2Move Carsharing as well as a full range of mobility options with Bird, Capital Bikeshare, car2go, Jump, Lime, Skip and Uber. 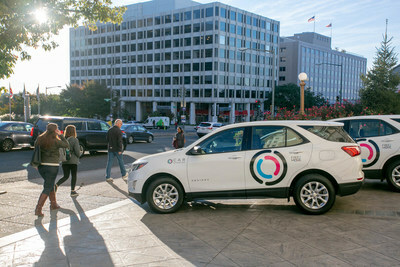 "The launch of Free2Move Carsharing in Washington DC is our first step in the deployment of our 10 year plan for a North America entry, as part of our Push to Pass strategic plan," President and CEO of Groupe PSA North America, Larry Dominique said. "Our unique 'service first' launch strategy allows us to pragmatically re-enter this market thoughtfully and with a greater understanding of the retail marketplace and its consumers' needs." "Washington DC was a natural choice for our launch based on population, traffic density and the wide range of mobility options," Michel Stumpe, President and CEO of Groupe PSA NA Carsharing said. "Once our service becomes established into DC's mobility community, we'll leverage this experience to grow into new markets." Groupe PSA designs unique automotive experiences and delivers mobility solutions to meet all customer expectations. The Group has five car brands, Peugeot, Citroën, DS, Opel and Vauxhall, and provides a wide array of mobility and smart services under the Free2Move brand. Its 'Push to Pass' strategic plan represents a first step towards the achievement of the Group's vision to be "a global carmaker with cutting-edge efficiency and a leading mobility provider sustaining lifetime customer relationships". An early innovator in the field of autonomous and connected cars, Groupe PSA is also involved in financing activities through Banque PSA Finance and in automotive equipment via Faurecia. About Groupe PSA North America, Inc.
PSA North America, formed in 2017, serves as the platform for Groupe PSA's return to the North American marketplace. Headquartered in Atlanta, GA, the entity provides Free2Move services in conjunction with its PSA Car Sharing Services business unit. Its future plans call for creating and implementing all manner of consumer and business-to-business mobility support efforts, including car and ride sharing, vehicle sales, service and financing—and ultimately – retail vehicle sales.